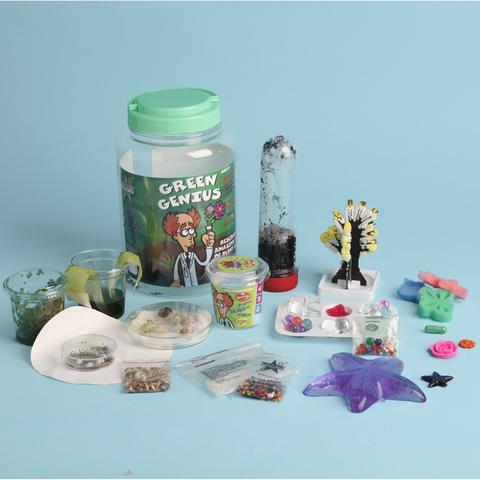 This amazing kit uses a variety of visual and tactile experiments that introduce kids to the world of plant science. Each experiment is designed to teach kids a different principle about plants including seed purpose and description, capillary action, water cycle, SNA, sprouting, horticulture, plant biology and natural product science. An exciting range of experiment types are used to represent or explain biology.